Daisy Wells and Hazel Wong are spending the Christmas hols in snowy Cambridge. Hazel has high hopes of its beautiful spires, cosy libraries and inviting tea-rooms - but there is danger lurking in the dark stairwells of ancient Maudlin College.Two days before Christmas, there is a terrible accident. At least, it appears to be an accident - until the Detective Society look a little closer, and realise a murder has taken place. 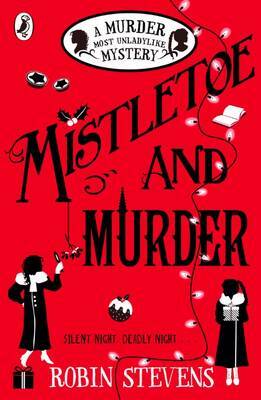 Faced with several irritating grown-ups and fierce competition from a rival agency, they must use all their cunning and courage to find the killer (in time for Christmas Day, of course).The fabulously festive fifth mystery from the bestselling, award-winning author of Murder Most Unladylike.